The Monday Snapshot – Rough Housing! 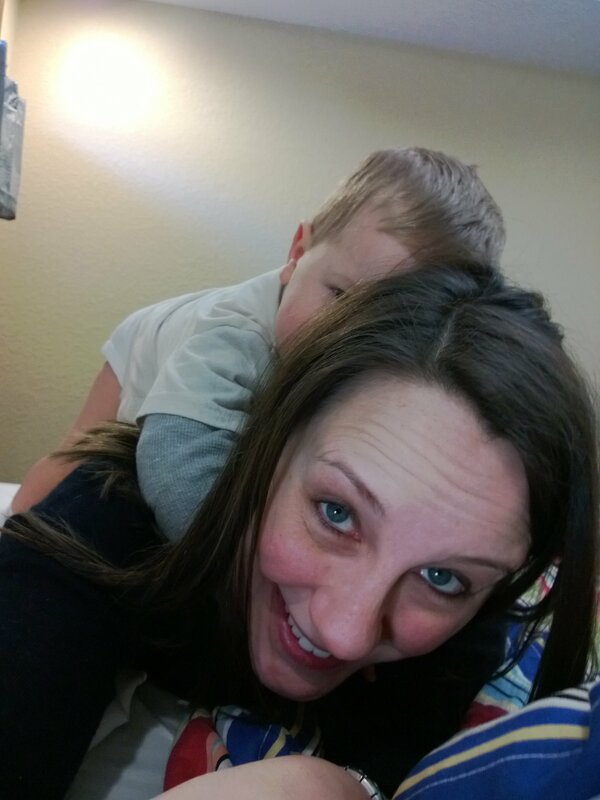 Last week, while Matthew was fighting a nap, we got to rough housing a bit on the bed. He started it, and I kept it going. So fun! Holy hell, I originally posted this from my phone and it uploaded the FULL SIZE photo. No – you do NOT need to see a close-up of my pores! Sorry about that! This is my contribution to the Monday Snapshot over at PAIL. Go and check out the fun! Categories: FUN!, Matthew, Monday Snapshot, My Free Time, PAIL | Permalink. I love the look on your face…it’s precious! CUTE! HGB and BJB’s favourite game right now is “Jump on Daddy!” I have a feeling B is going to regret that soon… better wear a cup! I am regretting the level to which I let him bounce on me. I think the baby is regretting it too. We’re trying to tone it down! Not easy to do with an 18-month old! DUDE. Tell me about it! He stills tries this with me, but I push him away… which he LOVES more. Mrrrrrrp! Haha, your comment at the end cracked me up! Looks like you guys are having a great time. What a fun thing to do with your little guy. Seriously, I about died when I went out and saw this on my computer.